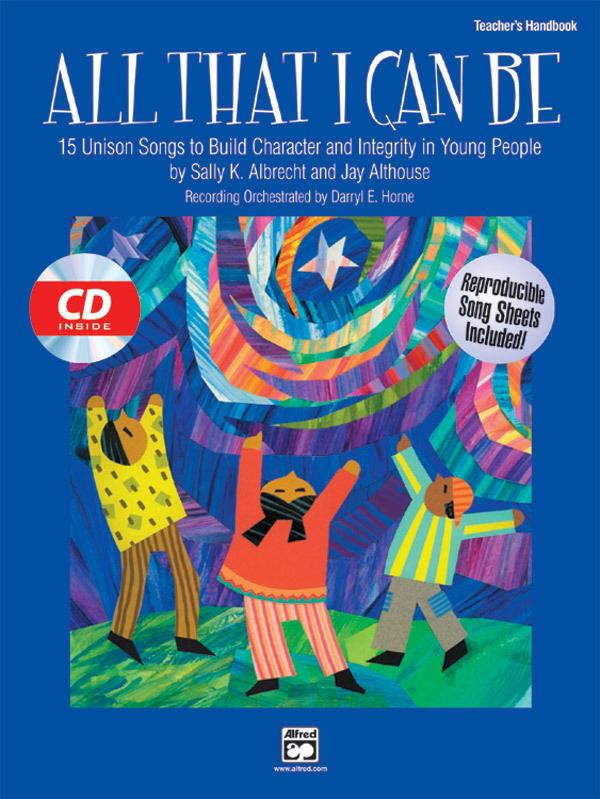 Designed to help build character and integrity in your young singers; All That I Can Be is a vibrant collection of 15 unison songs by the well-known writing team of Sally K. Albrecht and Jay Althouse. 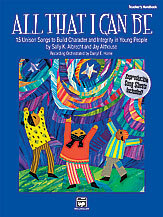 Teachers as well as parents will enjoy the lessons that can be learned through this collection of songs. The texts reinforce such concepts as teamwork; punctuality; friendship; respect; and telling the truth. Set in a wide variety of musical styles; the songs may be sung separately or together as a 30-minute program. 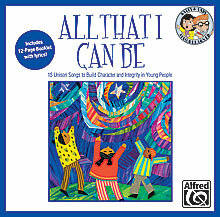 These songs will teach all who sing and all who listen how important it is to be 'All That I Can Be!' The Teacher's Handbook includes reproducible song sheets and word games; programming ideas; and suggestions for additional activities. Recommended for grades 2--7.